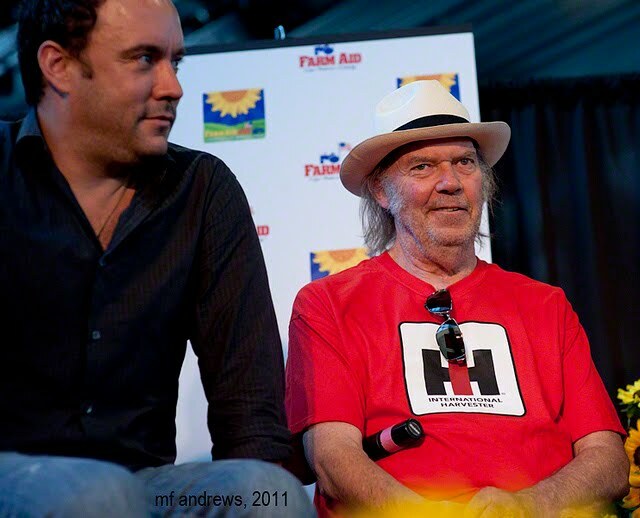 The Dave Matthews Band and Neil Young have performed together a number of times together over the years. Matthews is a fellow Farm Aid concert organizer along with Neil, Willie Nelson and John Mellencamp. 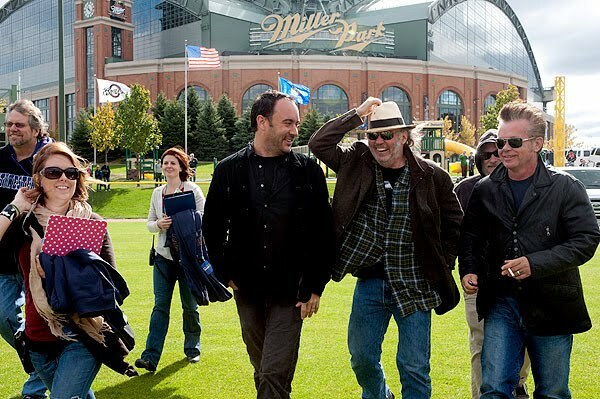 Dave Matthews has also supported the Bridge School Benefit Concerts on several occasions. 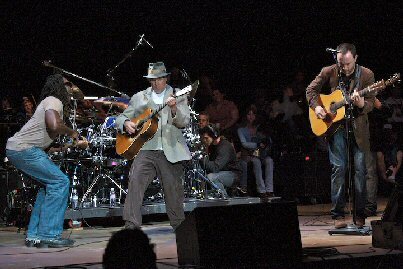 Dave Matthews Band played Neil Young's "Hey Hey, My My" on June 4, 2008 as the first encore at Camden, N.J. 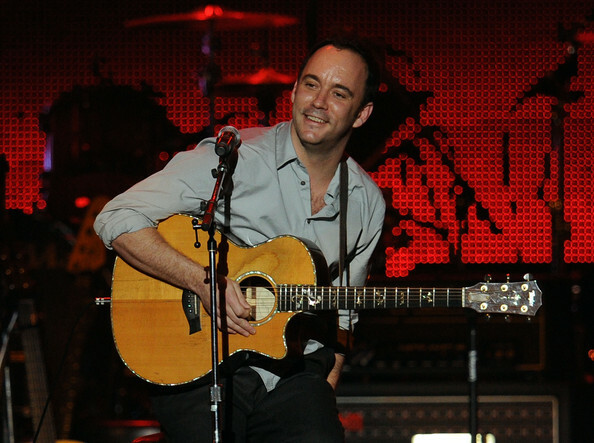 It was the first performance of the song by Dave Matthews Band who have previously covered Young's "Cortez the Killer" and "Down by the River." 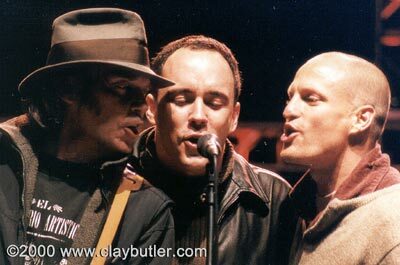 In what is probably one of the greatest videos of a "Cortez the Killer" cover with a 10 minute plus killer jam. 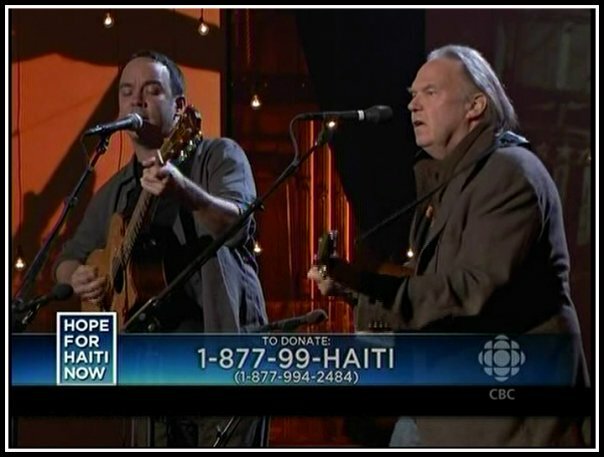 More on other musicians influenced by Neil Young's music.